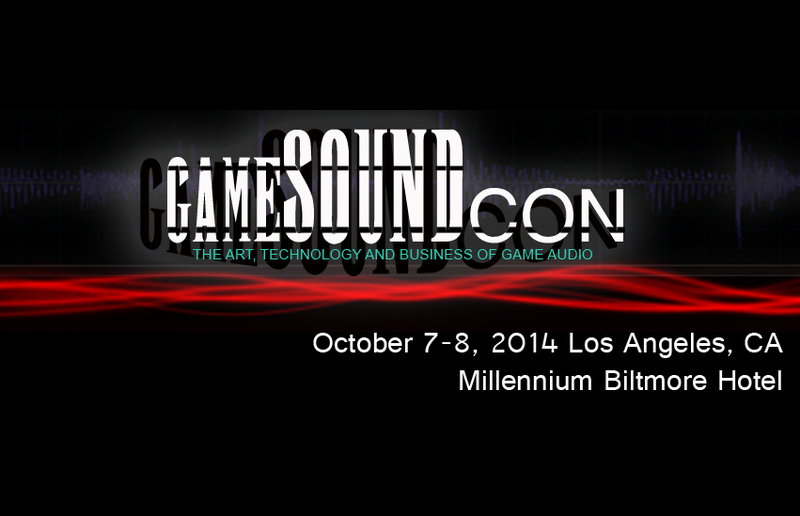 GameSoundCon 2014, the leading conference on video game music and sound design, has announced early bird discounts on all registrations until September 1, 2014. The organization’s 10th conference will be held October 7-8 at the Millennium Biltmore Hotel in Los Angeles and feature two days of sessions, panel discussions and hands-on workshops from over twenty of the game industry’s leading composers, sound designers and audio directors. 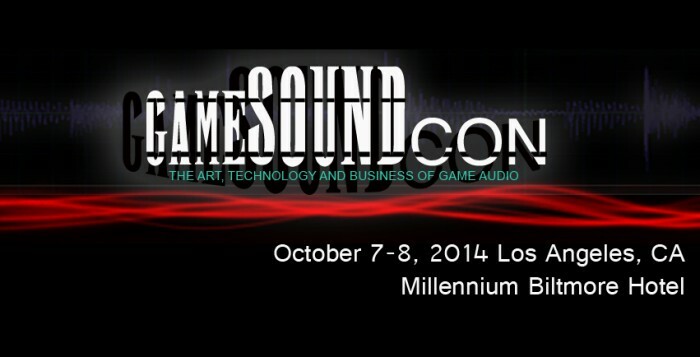 GameSoundCon comprises four concurrent session tracks. “Game Audio Essentials” features presentations and panels on essential topics in game audio, specifically designed for professional composers and sound designers who want to expand into games. “Game Audio Pro” features talks and roundtables for seasoned game audio professionals, while separate sessions providing hands-on FMOD Studio training and hands-on WWise training allow attendees to bring their laptops and receive training on creating interactive music and sound effects using the industry’s leading game audio design tools. This year’s featured keynote speaker will be Marty O’Donnell, creator of perhaps the most iconic game soundtrack of the recent era with his work on Halo. O’Donnell, formerly audio director at Bungie, now with his own studio, will talk about stimulating creativity, the video game business, and what it was like to collaborate with Sir Paul McCartney on the upcoming game Destiny. Full event details as well as ticket purchasing can be found at the GameSoundCon website. Last week we featured the release of the new Modulus.002 synthesizer from British manufacturers Modulus and got so excited about it we had to catch up with Modulus co-founder Philip Taysom to ask a few questions. What was the inspiration behind the modulus.002? That’s a good question. Between us, Paul and I have owned pretty much every classic (and some not so classic) synthesisers of the past fifty years. Synth players will always recall fond memories of the sonic capabilities of classic machines, shortly before remembering the lack of reliability/tuning stability and interfacing options! We wanted to create a ‘go to’ synth – an instrument which an owner chose to go to first in composing, an instrument which owners used to explore its sonic possibilities because of the advanced user interface and control surface, rather than just preset surfing. And, above all, an instrument that you want to keep with you for the long term – one which, every time you turn it on, reminds you why you spent your hard earned cash buying it. Even with an absence of additional processing other than the filter the modulus.002 appears to be quite a deep synth. Was this intended from the beginning or did it build up during the design process? 002 has enormous sonic power. With two oscillators, the two sub-oscilators have a very unusual feature in that they can take on the waveform of the primary oscillators – giving you four oscillators with the same waveform. This is per voice. The filter provides very extensive and, for an analogue machine, unusual features such as the sweep function enabling you to morph from a fizzy one pole all the way through to a bombastic four pole. 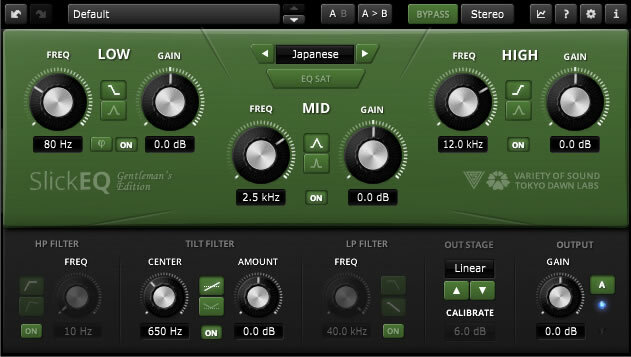 Then added to all of this, the Animator provides 12 channels of 32 steps of parameter sequencing – effectively providing a further twelve LFO’s per voice, on top of the two primary LFO’s – but with the ability to be sequenced rather than merely modulated by a waveform. Of course there’s our very powerful arpegiator that enables arpeggio sequences to be created by holding notes and then turning them off to create rhythmic sequences – which can then be saved ‘as sequences’ for later recall into the 16 track sequencer. Finally, 002 adds a stunning UI which can also be accessed using a web browser – so there’s no need for a separate plugin – and online sync to the cloud. All of these features were set out from the outset of the design process when we started back in July last year. Other features we wanted from the start were high quality effects and digital interfacing into DAW’s – these will be provided by the 002 Digital Output Card which we aim to release at the end of this year. 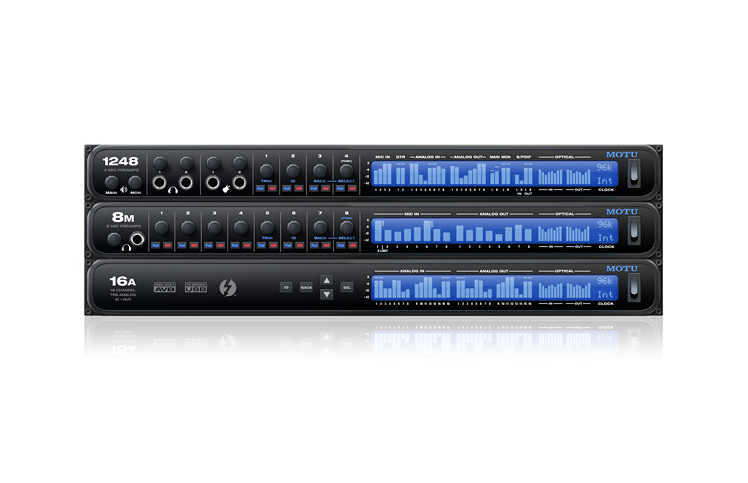 This card provides each of 002’s 12 channels over USB at upto 192kHz/24bit in addition to the master stereo output and a stereo input, which is processed pre-filter on 002. With a glut of cheap and versatile synths having flooded the market in the past few years is there space for a monster synth with a price tag to match? I can’t agree with your implied comment that ‘002 has a monster price tag’. This suggests that you can buy something comparable for less. I’d challenge anyone to find an alternative that offers everything 002 does for even twice the price of 002. If you listen to the sounds 002 makes, how much would a vintage synth capable of sounding like this cost? Probably two or even three times the price of 002. Also, 002 is made to be an ‘instrument’ – something an owner can have a long term connection with – and so is built to last for many years, using very high quality components throughout. Finally, we only intend to supply 002 to a relatively small (in the overall context of the £750m a year keyboard industry!) number of 002’s to customers and clients who want un-compromised sonic flexibility, build quality and user interface. We’re already selling 002 very well so we have no concerns about whether there’s ‘space’ in the market – customers are showing us there is and that 002 is the instrument they’ve been wanting for a long time. Can you please explain the modulus.cloud and the decision to take it open source? From the outset in the design process we wanted 002 to have the ability to interface in a new and more flexible way. We are all waiting for the ‘next generation’ MIDI standard to be ratified, but one key thing we can see is that the physical connection for ‘next gen’ MIDI is going to be ethernet. In order to give as much flexibility as possible to 002 owners, it was always logical to put ethernet on our instrument. 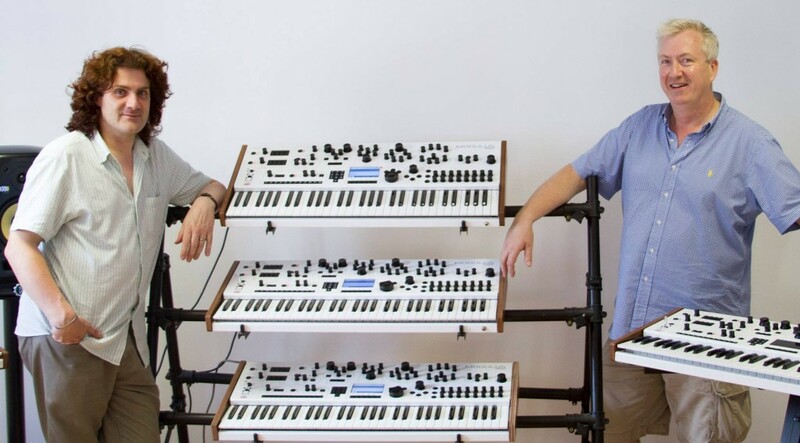 We’d always dreamt of a platform where you can share content on your instrument with collaborators – and the cloud functions of Modulus 002’s OS do just that. As we were creating this platform, it just seemed logical to offer it to other manufacturers in the hope that, perhaps one day, we’ll have cloud storage, sharing and editing features across synths. 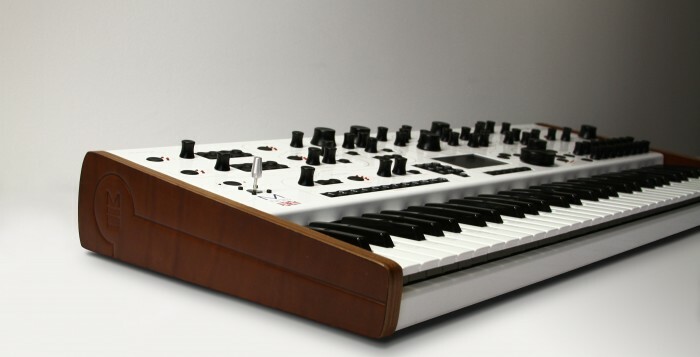 You’ve previously mentioned that this would be the first in a line of synths from modulus. Can you give us any details on the others? I’m afraid we only talk about what we can deliver today, not what we’re going to do – this was one of the key reasons behind not announcing 002 until she was ready to ship. We don’t believe in marketing vapourware products that are not available for 12 to 18 months after they’ve been announced We do plan on making several announcements early next year so do watch this space. 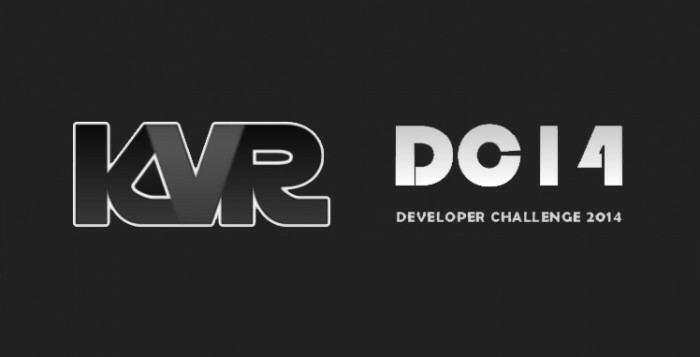 Voting for the KVR Developer’s Challenge is now open! This year sees 37 entries ranging from the regular to the very different, all hoping to attract some of the same attention as previous winners. On top of the crowd sourced prize fund, which at the time of writing stands at $1581, this is the first time the KVR Dev Challenge is also offering a grand prize. KVR has teamed up with A3E for the winner to fly to the A3E show in Boston and present their plugin to the conference. 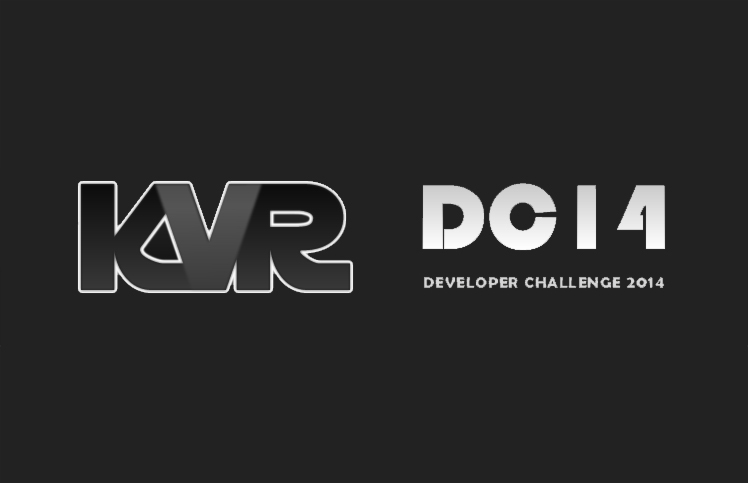 All entries are available for download from the KVR Developer Challenge page and it’s still possible to donate to donate to the prize fund so head on over and and get involved! 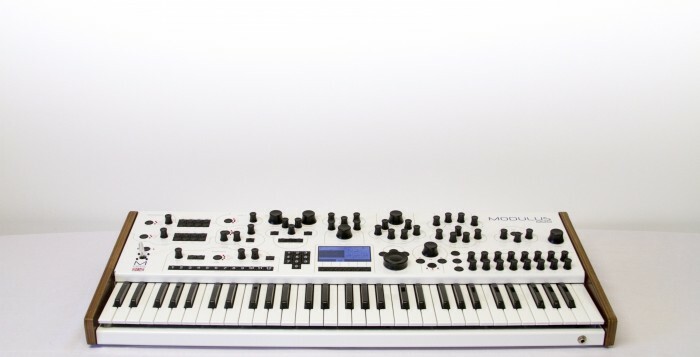 As an analogue/digital hybrid keyboard synthesiser (using an aftertouch-enabled premium Fatar semi-weighted, five-octave key mechanism), modulus.002 provides 12 discrete voices of polyphony with full multitimbrality if so desired. As such, it features two NCOs (Numerically-Controlled Oscillators) per voice for exceedingly high resolution and stability with wide-reaching waveform selections, together with two sub-oscillators, individually (and uniquely) switchable from a traditional square wave to having the same waveform as the main NCO to effectively produce four oscillators per voice; a Modulus-designed 24dB/octave fourpole transistor ladder filter featuring some very unusual morphing or ‘polesweeping’ effects, enabling ear-opening transitions from 24dB/octave four-pole to 6dB/octave one-pole filtering and anywhere in between; one LFO per voice as well as a global LFO; wide-ranging modulation options, all accessible directly via the front panel — no navigating convoluted and confusing menus; a pure analogue signal path from the oscillators right the way through to the combined XLR/TRS balanced/unbalanced outputs (with all 12 voices individually available for external processing via a dedicated D-Sub connector); and two audio inputs enabling internal audio processing from the VCF onwards. 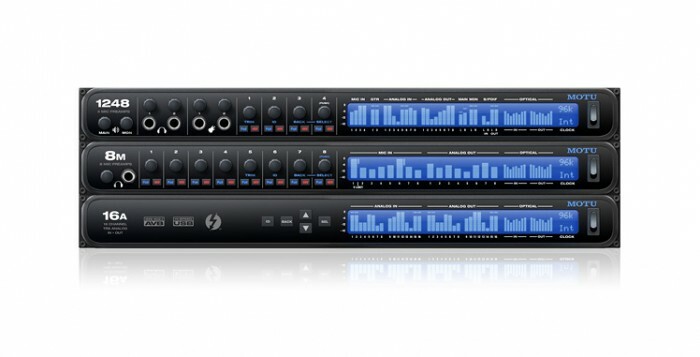 There’s also an inbuilt MIDI-syncable 16-track, 12-row, 32-step sequencer with 16 front panel-positioned step-time editing controls can give any hardware rivals already out there a serious run for their money. For sequences can not only be transposed dynamically while running but sophisticated so-called ‘mini arpeggiator sequences’ created using the arpeggiator’s Hold mode can be quickly saved as sequences for recall and editing at a later date using the sequencer. Moreover, modulus.002’s Animator allows any control to be sequenced, enabling complex filter transitions, waveform changes, and modulation matrix changes to be sequenced. settings, sound patches, sequences, and other content can be easily replicated to a cloud-based server platform to enable rapid resynchronisation to another modulus.002, regardless of whether it is owned by the same user or a collaborator at a remote location. 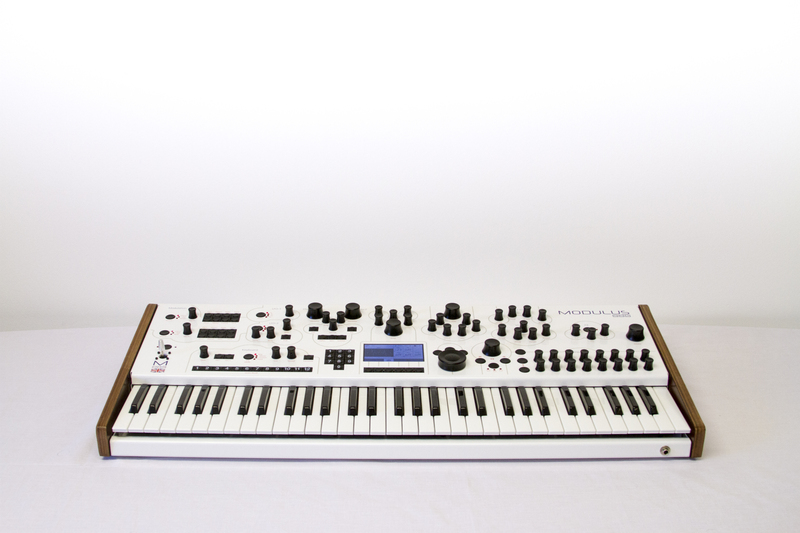 Coming in £2995 GBP/€3795 EUR/$5200 USD (all prices not including VAT or local taxes) it’s not exactly an impulse purchase for anyone, even those with deep pockets, but considering the sound design features it could well be a synth that could happily be the only synth in a set up. The addition of the modulus.cloud is a great touch and takes away a lot of the headaches traditionally associated with patch management on a hardware device and enables plugin style sharing between users and profiles. Out now and available from Toys4Noise in the UK but directly from Modulus for international sales, go to the Modulus website for full details. 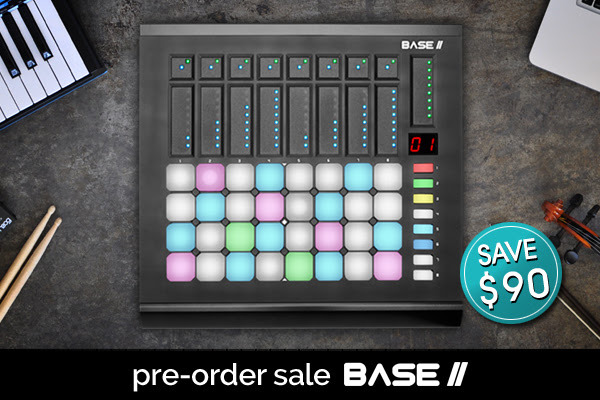 The countdown is on to the launch of the new controller from Livid Instruments, Base II. 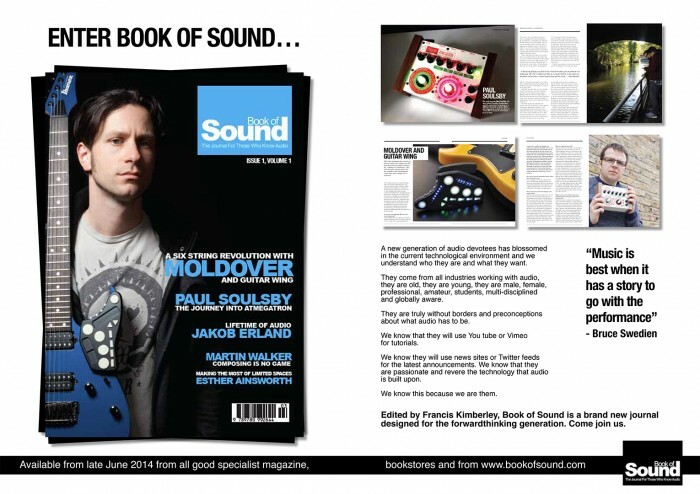 And to mark the occasion Livid are having a pre-order sale. Not content with taking the price down, they’re also doubling the warranty to two years and throwing in the power supply for free! At $329 this all adds up to a saving of $90 and makes the controller an even more attractive proposition but get in there quick as the sale ends on Friday 11th July. For full details, and to order, go to the Base II product page. The Groovesizer Multiboard (or MB) just got some rather sparkly new firmware in the shape of Bravo which turns the instrument into a 4 voice drum machine with a 32 step sequencer. Once loaded up, Bravo allows for pitch, volume, swing, tempo and distortion controls affecting the audio but you also get the ability to save and recall patterns, step repeat, and it also transmits MIDI clock data allowing for other devices to be synced up with the Groovesizer MB. Perhaps this doesn’t sound like much to shout about but, much in the same vein as the excellent Soulsby Synthesizer Atmegatron, the Groovesizer MB allows uploading of different firmware that turns it into completely different instruments! 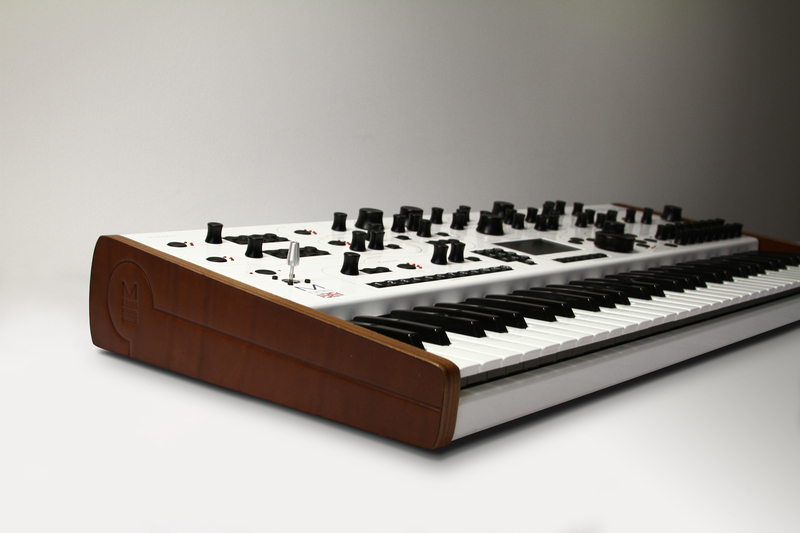 In this case a 3 oscillator monosynth as well as a granuar synth. We here at BOS are massive fans of this approach. The Groovesizer MB is available in kit form or ready built and starts at $168 US. The Bravo firmware is available now. Full details on the Groovesizer site.